The Court of Arbitration for Sport (CAS) has upheld an appeal filed by the World Anti Doping Agency (WADA) against the Norwegian cross country skier Martin Johnsrud Sundby and the International Ski Federation (FIS). The decision taken on 4 September 2015 by the FIS Doping Panel is set aside and the athlete is sanctioned with a period of ineligibility of two months starting on 11 July 2016 following an anti-doping rule infraction for salbutamol, a medication used by the athlete to treat asthma. The results obtained by the athlete on 13 December 2014 in Davos (SUI) and on 8 January 2015 in Toblach (ITA) are annulled. On 13 December 2014 and 8 January 2015, the athlete underwent in-competition doping controls which returned adverse analytical findings for salbutamol in levels exceeding the applicable reporting limits. Following an investigation, the FIS Doping Panel found that the abnormal results of the analyses did not constitute an anti-doping rule violation and took no further action against the athlete. 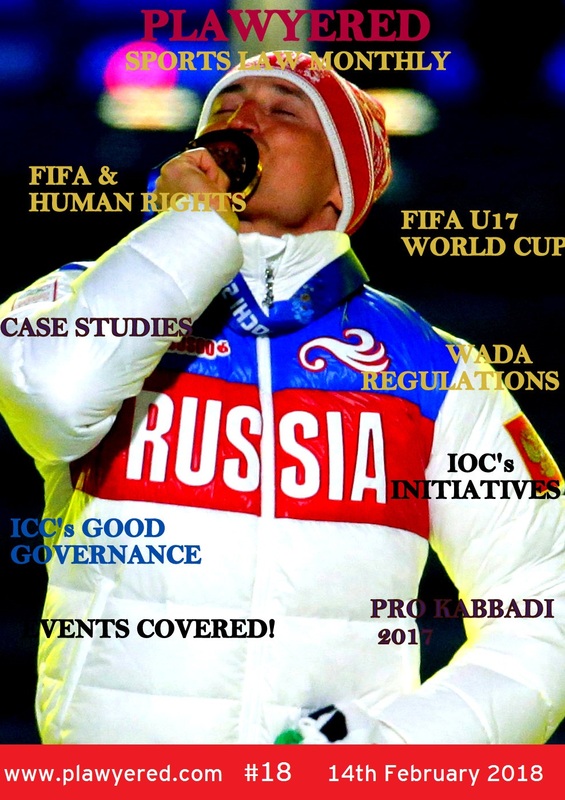 On 12 October 2015, WADA filed a statement of appeal at the CAS challenging the FIS Doping Panel’s decision and requesting that it be set aside. The arbitration was referred to a panel of CAS arbitrators who held a hearing on 25 and 26 May 2016. The arbitration centred on the athlete’s administration of his asthma medication, salbutamol, with the use of a nebulizer. In its decision, the CAS Panel found that the method of ingestion (i.e. inhalation) must be distinguished from other forms of administration such as ingestion or injection, and that the dosage allowed under the FIS Anti-Doping Regulations must be understood as the prescribed “labelled” dosage. Any use of salbutamol with a nebulizer beyond such “labelled” dose, without a Therapeutic Use Exemption (TUE), constituted an anti-doping rule violation. In determining the sanction, the Panel found that there was medical justification for the athlete’s use of salbutamol, that his degree of fault was light and therefore warranted the imposition of a suspension shorter than the standard measure for such cases, in this instance, a two-month period of ineligibility. Furthermore, pursuant to the FIS rules, the results achieved in the competition concerned shall always be disqualified by the hearing panel with no exception, irrespective of an athlete’s light degree of fault, as is the case involving Mr. Sundby.